WARNING/DISCLAIMER: Hiking can be dangerous and the information furnished below may contain errors! Near/opposite the parking area is a road that leads in a very short distance to a pedestrian bridge that cross over a stream. Cross the bridge and continue walking. You will soon see the Kakiat Trail (white blazes) on your right. It starts out as woods road. 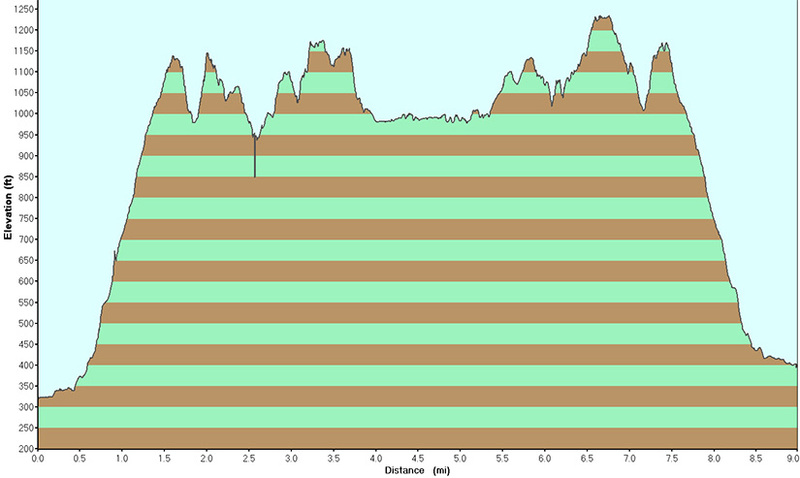 Take the Kakiat trail until you reach Raccoon Brook Hills Trail (Black Blazes) on the right. 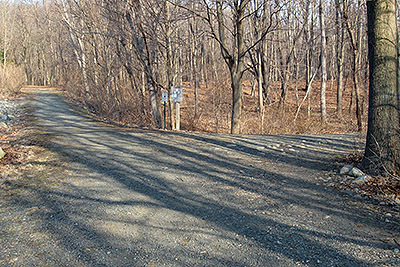 Make a hard right onto the Raccoon Brook Hills Trail (if you see both a black and a white blaze then you missed the right turn and have probably walked about 20’ or so too far beyond where the turn is, the turn is not well marked) and take the Raccoon Brooks Hill trail until you reach the Poached Egg Trail (yellow blazes). Make a right onto the Poached Egg Trail and take it until you reach the unpaved Pine Meadow Road by Pine Meadow Lake. Make a left onto Pine Meadow Road and take it around Pine Meadow Lake until you intersect the Pine Meadow Trail (red blazes). 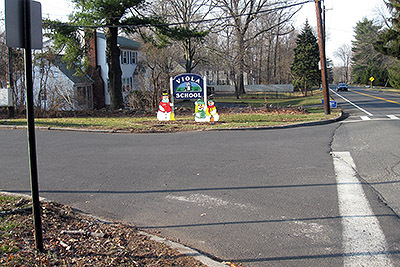 You will veer slightly away from the lake to reach this intersection. 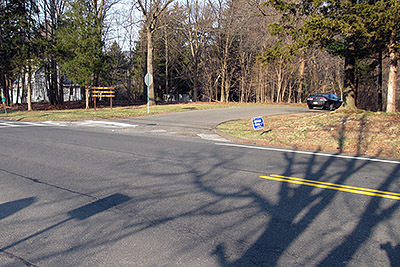 Make a right onto the Pine Meadow Trail and take it until it intersects with the Conklins Crossing trail (white blazes). 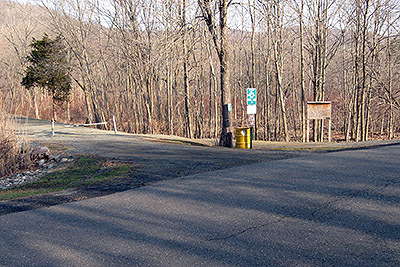 Make a right onto the Conklins Crossing trail. 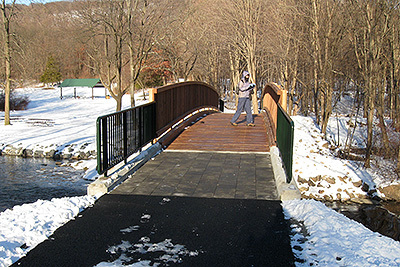 Take the Conklins Crossing trail until its end where it meets the Suffern-Bear Mountain trail (S-BM, yellow blazes). 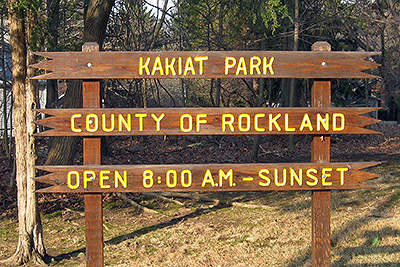 Make a right onto the Suffern-Bear Mountain trail and take it until you intersect the Kakiat trail. 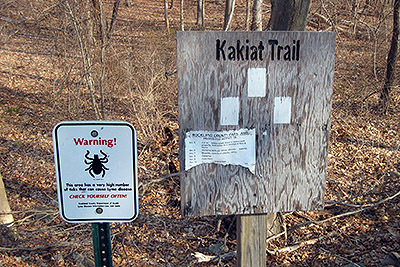 Make a left onto the Kakiat trail and take it back to the parking area where your car is parked. 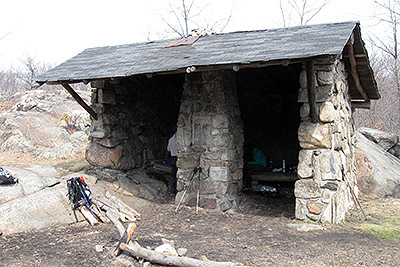 Alternative: To visit the Stone Memorial Shelter; From the Conklins Crossing trail, make a left onto the S-BM trail and take it until the Stone Memorial Shelter. After visiting the shelter reverse course and take the S-BM trail (southwest) as above until you intersect the Kakiat trail. This alternative adds 0.7 miles to the hike. Alternative #2: On the way back while on the Kakiat trail, make a right onto the Mountain trail (orange blazes, markings could be better!) and see two very very nice panoramic views. The difference in distance by taking the Mountain trail alternative is small. From NYC take the George Washington Bridge to the Palisades Interstate Parkway (going north). Exit the Parkway at Exit 13 and make a right onto Route 202 West (Haverstraw Road). 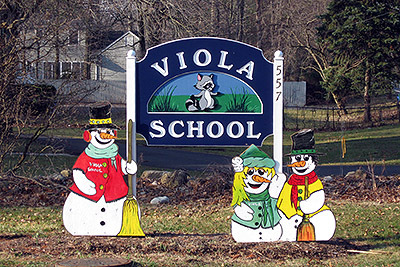 Take Route 202 West for a little over 5 miles until you reach Kakiat Park on the right (opposite the Viola Elementary School). 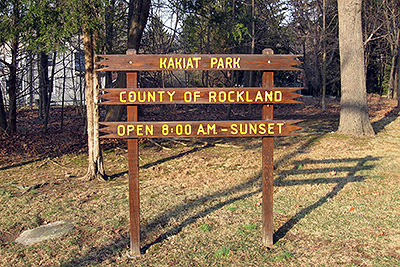 The entrance to Kakiat Park comes with little notice! 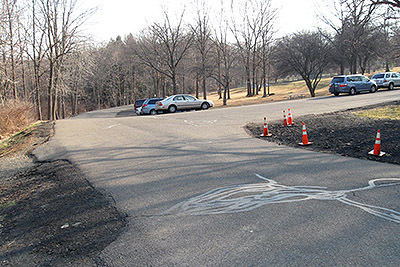 Make a right into the park and drive about one-fifth (0.20) mile to the parking area (GPS: N: 41.14568 , W: 74.11294). Driving distance is about 38 miles from the Upper West Side of NYC and the total driving time is estimated at about 45 or so minutes without traffic. Copyright © 2009 Michael Brochstein. All rights reserved.